Listen to We Live Here, a documentary about the history and future of Detroit's neighborhood schools. Things are pretty desolate in the Brightmoor neighborhood, especially at night. The one bright spot is on Fenkell Street. The Brightmoor Artisans Community building is one of the few remaining public spaces in the neighborhood. Inside, it kind of looks like the set of an Alice in Wonderland movie: neon green walls and black and white checkerboard floors. Eight-year-old Nadia Dolphus and her friend, Morgan, go there for a weekly book club. "I’m eight and about to be nine," Morgan said. "I plant tomatoes, potatoes, carrots, strawberries, blueberries ... lots of berries!" So many people have moved out of Brightmoor over the past few decades that vast swatches of the neighborhood look like the country, so gardening is big there. The neighborhood has more vacant lots and green spaces than occupied houses. There used to be six DPS elementary schools in Brightmoor. Now there’s just one, and it’s slated for possible closure at the end of the school year. And the two closest charter schools aren’t doing much better. Nadia’s grandmother drives her 15 minutes away to a school outside of Detroit, in Livonia, even though there's a public elementary school right across the street from where she lives. Nadia has a perfect view of it when she jumps up on the couch and looks out the front window of her house. But the school, Hubert Elementary, has been closed for more than a decade. "My mom used to go there when she was little, my aunt, my grandma was a teacher there, but the school closed," Nadia said. "My grandma lost her diamond ring in there once. It was really shiny. I think she said that it fell off her finger because it was too big." "If it wasn’t too big then it just probably fell off for no reason or she put it on her desk and a kid probably took it while she wasn’t looking," Morgan said. "It looked burned on the inside of the school," Nadia says. "Yeah, ‘cause it was really dark … because we went through the school onto the back where behind the school is where we fly our kites every year ‘cause sometimes we would walk through it or we’d go around it." Nadia’s grandmother, Judy Cross, says the school closed in 2005 because of low enrollment. DPS tried to secure it with big wooden boards over the windows and doors, but it didn’t really do much. People were still able to get inside the vacant building. Nadia Dolphus and her grandmother Judy Cross. "The kids started going in there, they set it on fire a couple times. We’d have to call all the time, they were breaking all the windows and stuff like that," Cross said. "They left a lot of stuff in there. Like desks and books and a lot of materials and stuff." Judy lives with her daughter and grandkids in a wooden bungalow, a house style that was popular when working class residents started moving into the neighborhood. "I was thinking about when my girls went to school there, there were all kinds of kids, that lived here," Cross said. "They had lots of friends, they’d always be out there playing, we’d have big birthday parties. My husband used to take the grill over there and grill for them for field day." Now that the school across the street is closed, she drives her grandkids to school in the suburbs. "Now with them going to a school in the suburbs, they have no friends right here because there’s no kids. So it’s a big difference from when my girls were younger," she said. Judy loved her time at Hubert Elementary. She was a teacher’s aide for a few years, then worked in the cafeteria. She says some of the teachers even used to use her front porch for smoke breaks. But enrollment had dropped to 350 kids from a high of around 500, plus test scores weren’t great. So the district decided to close it. "It bothered me because like I said I thought it was a good school, and that’s one of the reasons we moved right here where we did was because of the school being here," Cross said. When a school closes, property values go down, crime often goes up and families move out. Everything looks empty. Drive through Brightmoor and you’ll see exactly that. And the death of the neighborhood school is by no means unique to Brightmoor. Nearly 200 DPS schools around the city have closed since 2000. 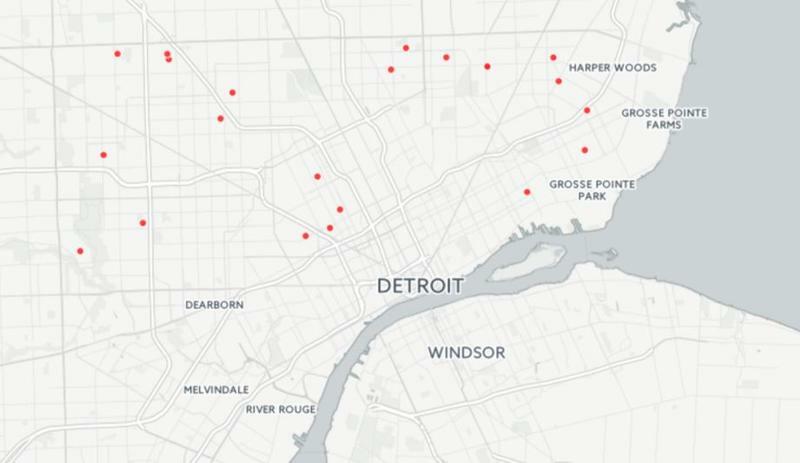 So, how did Detroit end up with so many closed schools and emptied out neighborhoods? We'll answer that, but first, here's some context. Chastity Pratt-Dawsey is a reporter for Bridge Magazine. But back in 2001, when the closures were ramping up, she was an education reporter for the Detroit Free Press and had a front-row seat to what was going on in the district. "That was just like a watershed moment being in the trenches as a reporter, thinking wow, this is gonna get bad, bad, bad and nobody could have known it was going to get this intense." - Pratt-Dawsey. "It was crazy because, you know, the first year that it really hit home that this going to be big and probably not good was 2005. You had 30 school closures and you also had the archdiocese closed 17 schools in Detroit. That was just like a watershed moment, being in the trenches as a reporter, thinking wow, this is gonna get bad, bad, bad and nobody could have known it was going to get this intense." Schools were closing like rapid-fire, and students and families left in droves. By 2006, the district was losing 10,000 students a year. "2005-6-7-8, these were like hot and just crazy times for the school district, and I remember it was almost a story a day," Pratt-Dawsey said. 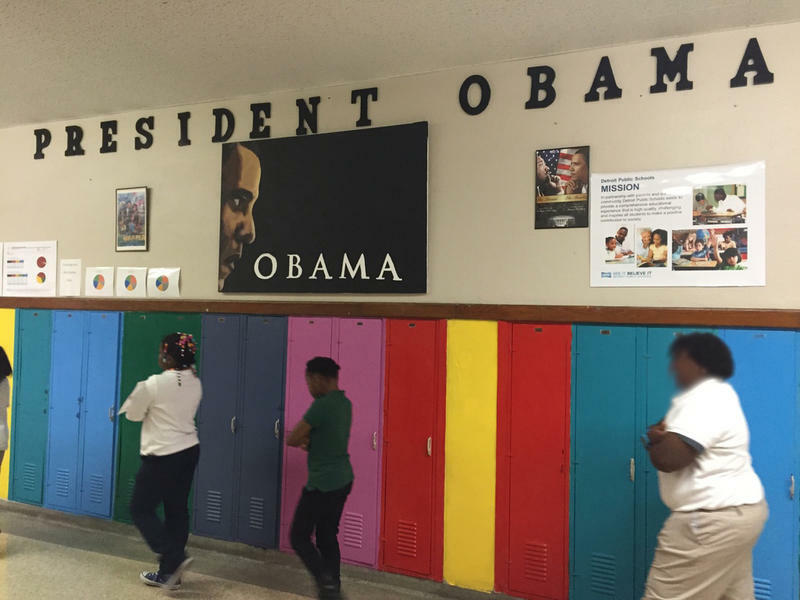 "And again I don’t think any of us – reporters, parents, school folks – would have thought that all of that would lead us to a place where there there’s only 48,000 kids in Detroit Public Schools." Actually, it's dropped even lower than that now. At the end of last year, there were fewer than 47,000 students in Detroit Public Schools Community District. That’s a 73% decline since 2000 alone. More kids in Detroit now go to charter schools than traditional public schools. Now back to our question: How did we get here? "The state of Michigan in professing to want to improve Detroit schools essentially destabilized the system through a succession of policy changes and reform efforts essentially being school choice," Pratt-Dawsey said. School choice: the elephant in the room. So, what exactly is school choice? Well, the state passed two laws in the 1990s that were supposed to give parents more options for where to send their kids to school. Under these laws, parents could send their kids to schools outside of their district, and charters were allowed to open up, with very little oversight. Pretty much anyone who had the money could open a charter. On the surface, these two things might not seem like a big deal. But in reality they completely changed the academic landscape in Detroit. 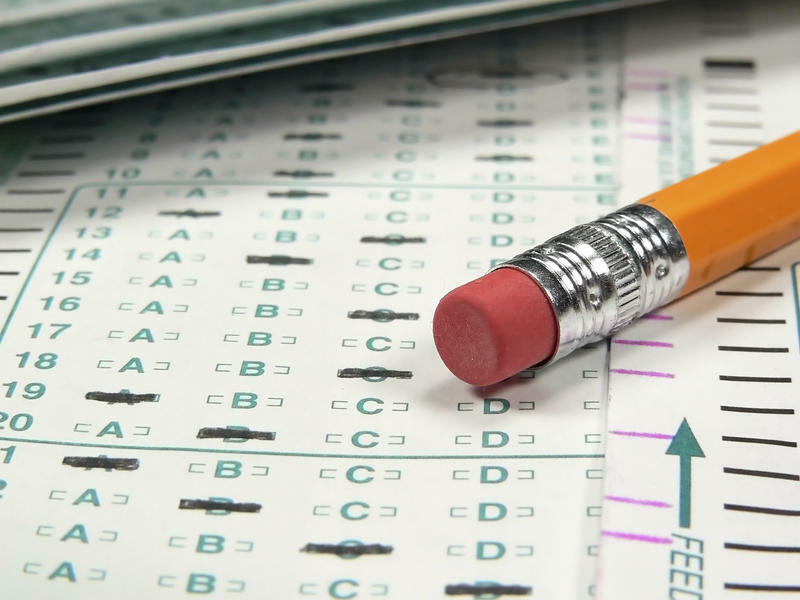 Test scores in the district weren’t great when all this was happening, but they weren’t the worst either. Still, Detroit parents were fed up. They wanted better for their kids and now they had choices. So they started pulling their kids out of DPS and putting them in charters or leaving the district entirely. And each time a student left, their state funding went with them. So now DPS was losing millions of dollars a year, state funding was flat, and then Detroit voters passed a $1.5 billion dollar construction bond to fix the schools. Here is where things take a turn. Pratt-Dawsey says the school board kind of sat on the money for a while and didn’t spend it. And that's when Republican Governor John Engler stepped in. Engler says to Detroit: Your test scores are down, you haven’t spent this $1 billion, we’re going to remove your school board, put in this reform board that’s appointed and we’re going to fix this school district. That was back in 1999, and up until this January, the state has been in charge of Detroit Public Schools pretty much ever since. By 2015, the district’s deficit was at a whopping $515 million. "It was the perfect confluence of craziness. For years I would sit and listen to the teachers marching and the parents complaining, and they’re all saying our school district is being dismantled, and I sat there and said, ‘yeah but that’s not the problem,’" Pratt-Dawsey said. "When you have something that doesn’t work, like Massachusetts had, you need to dismantle it. They dismantled their school system." When Massachusetts kids were struggling, they enacted a slew of reforms including more money for low-income schools, tougher standards for all kids, and strict oversight for charters. "Here in Michigan when you dismantle it and put it back together in a way that doesn’t work, now you’ve destabilized it. You know, if something doesn’t work I expect you to take it apart, inspect it and make it better. We didn’t make it better here," Pratt-Dawsey said. See how Detroit Public Schools got where it is today in this video from from Michigan Radio. Parents, like Dawn Wilson, would argue the state takeover and all the reforms made things worse. And you’d be hard-pressed to find a parent in Detroit who doesn't agree. Most of the schools in Brightmoor, where she lives, are either closed or very low-performing. Wilson remembers when this neighborhood was still thriving. And the schools were a big part of that. 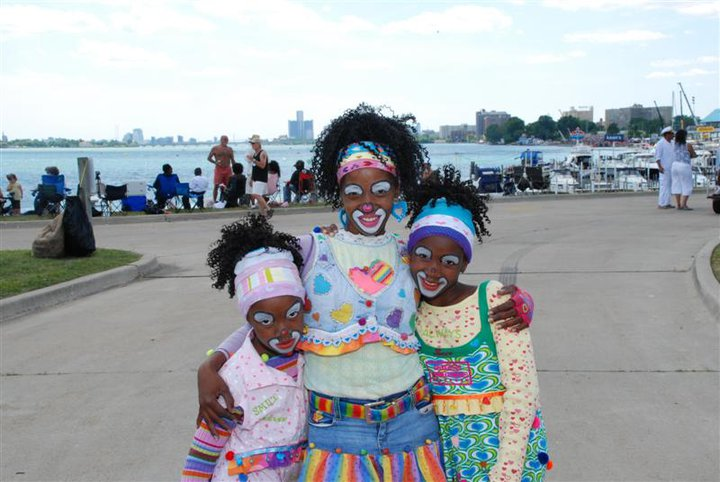 Dawn Wilson poses with her daughters, Elanah (L) and Dannah (R), in her Kuddles the Klown costume. Wilson works as a clown at birthday parties all over the Detroit area. Her stage name is "Kuddles the Klown." And one of the first gigs she ever got was for a barbecue party to celebrate all the kids on the honor roll at the five DPS schools in the community. "They loved it! We had a party, a bouncy house, trains, face painting," said Wilson. Four of those five schools have closed. One was turned into a charter and placed in the Education Achievement Authority, the state reform district. The other, Gompers Elementary-Middle School, is at risk of being shut down by the state at the end of this school year. And so, the options in Brightmoor are limited. But Wilson is one of the lucky ones – she has a car. So every week she drives her four kids to a mix of public, private and charter schools in and around Detroit to try to get her kids the best education she can. At one point she was driving 160 miles a week. "I shouldn’t have to drive 160 miles to get my kids a good education," Wilson said. Meanwhile, the educational landscape continues to shift. Schools open, schools close, leadership changes, promises are made and broken. So Wilson has had to shuffle her kids to different schools in search of a quality education. She can name at least 22 different schools they've attended. How many schools did you go to growing up? There’s choice in Detroit, but if your kids have to change schools 22 times because they’re not getting what they need, is that good choice? Find out what the research says about how to fix failing schools and help poor students succeed tomorrow in part three of "We Live Here."